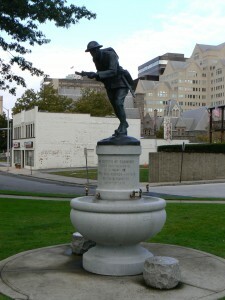 The city of Stamford honors veterans from the Colonial Wars through World War I with a 1920 monument in the heart of downtown. The Soldiers’ and Sailors’ Monument, in St. John’s Memorial Park, bears more than 4,400 names of residents on five large bronze plaques. The monument bears the dedication “In everlasting memory of Stamford’s patriots 1641-1918,” near its top. A peaked roof is topped by a sculpture of three eagles. 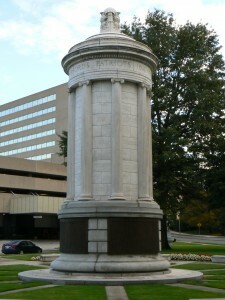 The marble monument is based on an ancient Greek monument honoring Lysicrates that also served as inspiration for the 1904 Soldiers’ Monument in Seymour. 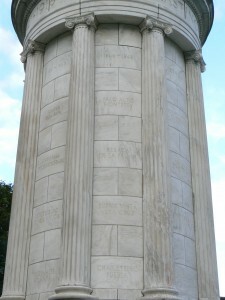 The Stamford monument features nine columns, and the spaces between the columns honor significant battles in the nation’s various wars. 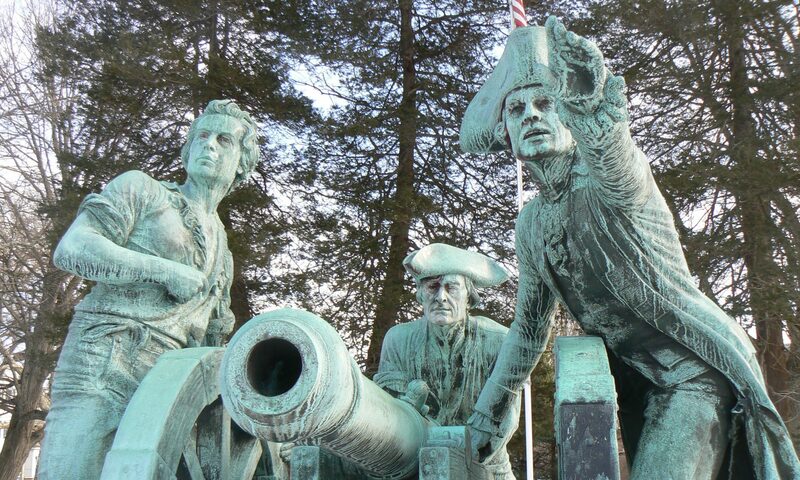 For example, the American Revolution section, listing the years 1775-1783, honors the battles of Lexington, Concord, Bunker Hill, Ticonderoga, Trenton, Saratoga, Bennington and Yorktown. 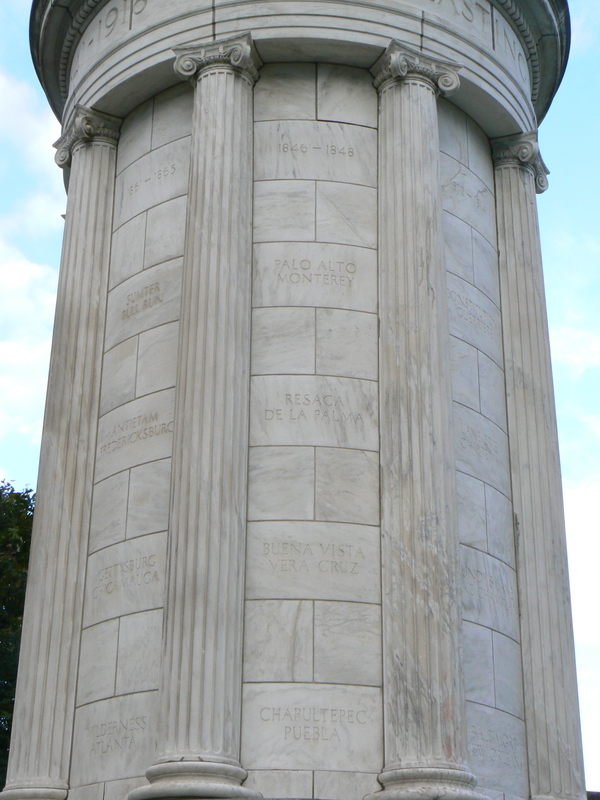 The base of the monument features five large plaques listing the names of residents who served in the nations war. World War I has two plaques of it own, and shares a plaque with the Spanish-American War and the Civil War. 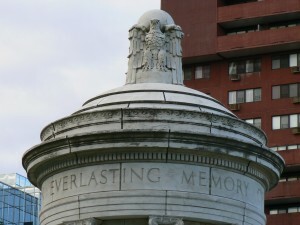 A fourth plaque honors veterans of the Civil War, the Mexican War in the 1840s and the War of 1812, and the fifth lists residents who served in the American Revolution as well as the Colonial and Indian Wars between 1689 and 1763. 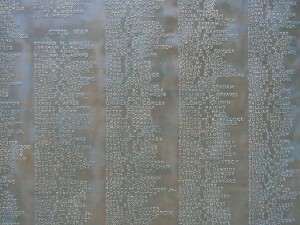 The World War I plaques list 26 columns of names, and honor 31 residents killed in the conflict. 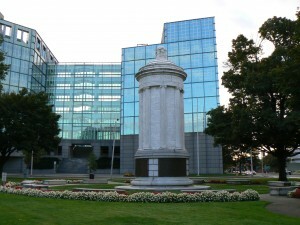 The monument underwent an extensive cleaning in the summer of 2009. A Doughboy statue with a fountain in its base stands near the southeast corner of the small park, which also features benches and walkways emanating from the Soldiers’ and Sailors’ Monument. 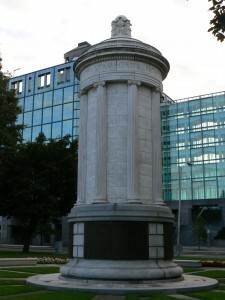 Next PostNext Soldiers’ Monument, Keene, N.H.